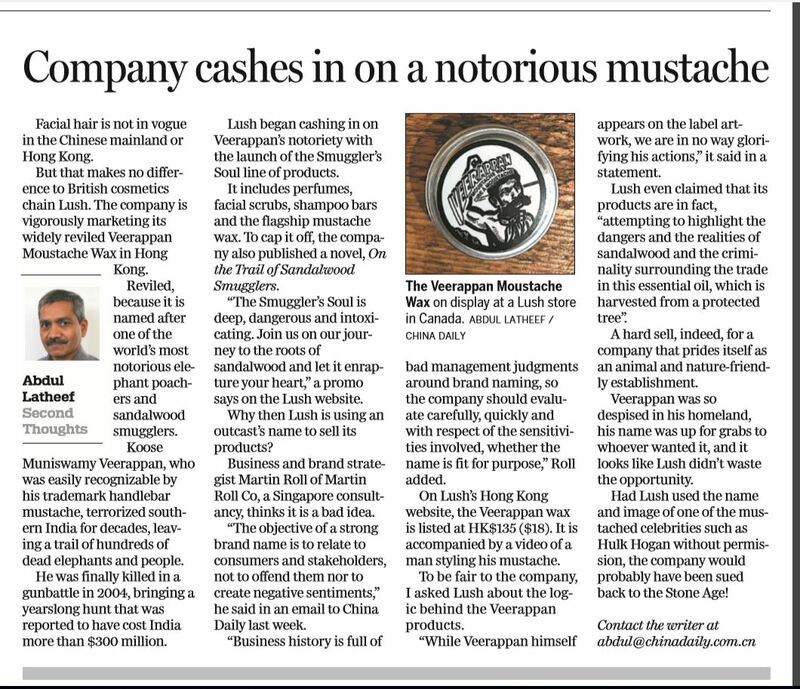 The article described the Veerappan Moustache Wax, a product of British cosmetics company Lush, which Lush is actively marketing in Hong Kong. The Veerappan Moustache Wax was named after Koose Muniswamy Veerappan’s trademark handlebar moustache, who was infamously known for terrorizing southern India for decades, causing the death of hundreds of elephants and people. After the state spent more than USD 300 million and years of hunting Veerappan down, he was finally killed in 2014 in a gun battle. Besides naming its moustache wax after Veerappan, Lush also published a novel, “On The Trail of Sandalwood Smugglers”, and used the storyline material to market the moustache wax on its website. The debate arose on whether or not it was beneficial for Lush to be using the name and story of a societal villain to sell its products. 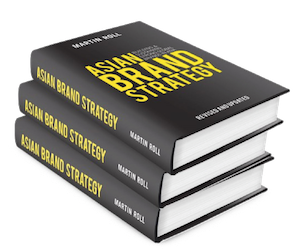 Martin Roll thinks this is a bad idea, as the objective of a strong brand name is to relate to consumers and stakeholders, not to offend them or create negative sentiments. Companies should evaluate brand naming decisions carefully, quickly and with respect to the sensitivities involved, to decide on whether the name is fit for purpose. Does your company make its brand naming decisions by considering the above?